Here are 5 ways to step up your organization’s focus on customer service. When you hold your regular meetings with your company’s top management team, where does customer service fall on your agenda? Is it the first item you discuss, the sixth, the twelfth – or is it something that you don’t discuss at all? something that doesn’t get discussed. A company owner recruits phone reps or hires a call center, then expects customer service to run itself. And the fact is, it doesn’t. Without consistent review, interest and attention, the customer service experience will degrade until management must ride in to take corrective action. Keep talking about customer service so that it becomes central to your company culture. 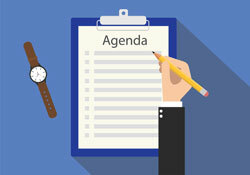 The simplest way is to keep it on your meeting agendas. When you demonstrate that it is a top priority, that mindset will spread through the ranks and lead to many small decisions that will make a palpable difference. As a company leader, stay hands-on and monitor customer service activities personally. Yes, you will probably hire a manager to oversee customer satisfaction and service. Yet you, as a company leader, should stay hands-on too. You can visit call centers to talk with reps, answer the phones yourself for an hour a week, or visit clients personally to discuss their satisfaction. Many successful companies have leaders who are always “on the front lines” with customers, and you should be there too. Distribute customer service surveys and develop measurable benchmarks that you can follow. If 90% of your customers said that they were “extremely satisfied” with your customer service two months ago and that number fell to 75% this month, that tells you that you need to act. If you weren’t measuring, you would never know. Create processes to assure that customer service remains an outgoing process, not just an incoming one. Your company representatives should reach out to customers who recently bought from you, not wait to hear from them when something goes wrong. That makes the process proactive, not reactive, and dramatically increases overall customer satisfaction. Let all your employees know that they are in the customer service business. Salespeople, repair personnel, delivery staff, the security guards who supervise your parking lot – and everyone else in your organization – have a critical role to play in pleasing customers. Don’t just send them one memo and tell them that is part of their job. Talk to them about it often, enthusiastically, and personally. Bill Dugan is Vice President at The Pohly Company. Bill’s talent for marketing has helped organizations achieve great success for more than 24 years through compelling and unique resource programs. Bill’s expertise in direct mail marketing, customer retention, customer service, and consumer marketing trends makes him a sought-after speaker for industry conferences and events. Does AI Mean the End for Contact Centres?